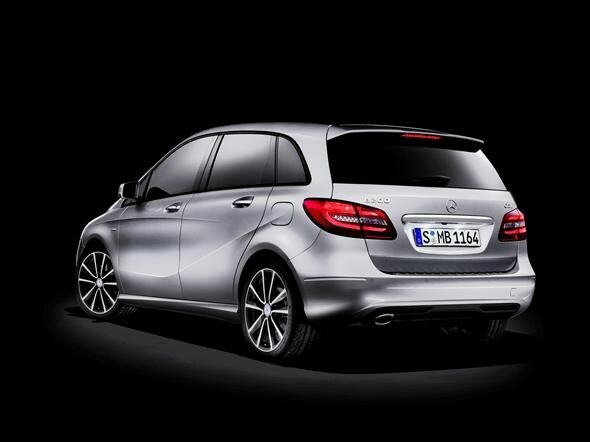 An all-new Mercedes-Benz B-Class is to be unveiled at the Frankfurt Motor Show in September. The ‘compact sports tourer' aims to slot into the market besides such vehicles as the VW Touran and the Seat Altea XL. There's a new four-cylinder petrol engine available in two guises; the B180 will get 120bhp and the B200 will have 154bhp. Confusingly, the new diesel engine will also be available in two variations with very similar names. The B180CDI makes 108bhp while the B200CDI makes 134bhp. An all-new seven-speed twin-clutch transmission will be available alongside a conventional six-speed manual gearbox. All engines will also get stop/start as standard. 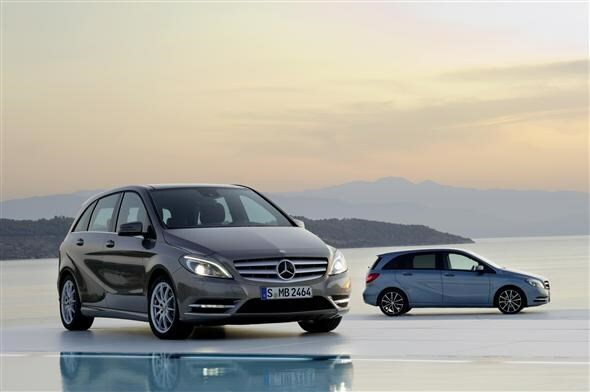 The new B-Class is five centimetres lower than its predecessor, meaning the centre of gravity is closer to the ground and hence handling is improved, according to the German firm. You'll have the option of a sports suspension system too in case you enjoy a bit of enthusiastic driving. Furthermore, Mercedes is making a big deal of how good the steering will be in the B-Class. The electromechanical system has been re-worked and the firm promises improved handling and efficiency as a result. The driving position has been tweaked too, with the seat 86mm lower to eradicate some of the ‘loftiness' felt in the previous generation. Buyers will have the option of ‘EASY-VARIO-PLUS', a system which enables the rear seats to slide forwards 140mm, expanding the boot space from 488 to 666 litres. You also get a front seat with folding backrest, further increasing the car's ability to carry bulky items. Rear legroom has been improved too, and you now get more than in S- and E-Class Mercedes. The interior can be ordered in four trim levels; Chrome, Sports, Exclusive and Night. The dash can be covered in what Mercedes term ‘man-made leather' for an extra charge, while customers will have a choice of 5.8- or 7-inch screens. As is the norm on larger contemporary Mercedes products, safety systems are in abundance. ‘Collision prevention assist' will warn the driver of obstacles via visual and aural alerts, while readying the brakes for a sharp stop. You also get a huge amount of airbags, adaptive headlamp assistance, a blind spot warning system, lane keep assist, speed limit sign recognition, parking sensors, brake hold function for hills (seven-speed gearbox only), reversing camera and ‘Distronic Plus', which works with the cruise control system to keep you a set distance away from the car in front. You'll also get a choice of two voice-activated multimedia systems and connection to your mobile for hands-free calling. There's also a ‘Command' online service which connects to the internet and allows web surfing plus connection to Google Maps and Weather for the most up-to-date local information. The new B-Class will be available to buy from March 2012. There's no word on pricing yet but buyers should expect the new model to start at around £22,000.